Kaiju is translated to "mysterious beast/animal". This is somewhat like "monster" but with a supernatural overtone. 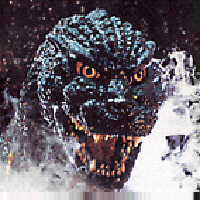 Japanese monster movies are often called "kaiju eiga". For over 50 years Godzilla has wreaked havoc on the world in movies, comics and the imagination of his fans. 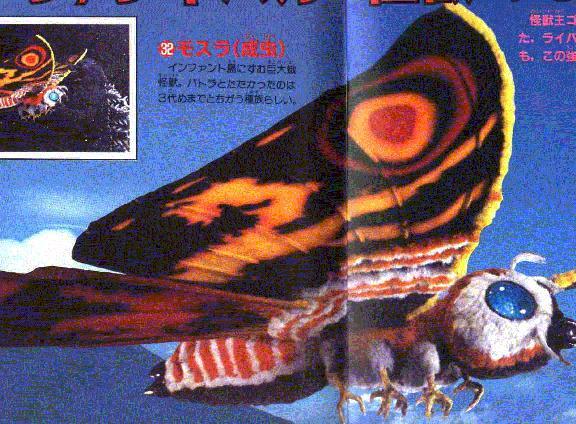 He has faced giant pteradons (see Rodan), giant insects (see Mothra) and bad scripts (see Godzilla's Revenge) and always come out on top. In 1984, after being silent for most of a decade, Godzilla returned bigger and badder than ever. Even his traditional rivals had to muscle up (see Super MechaGodzilla, MechaGhidorah and Fire Rodan) to compete. His reappearance even prompted a return of his rival Gamera. In May of 1998, a US version of Godzilla was attempted. I was very disappointed with it, but many people enjoyed it. It did, however, spawn a decent cartoon series. Following the debacle that was Gino (Godzilla In Name Only, i.e. 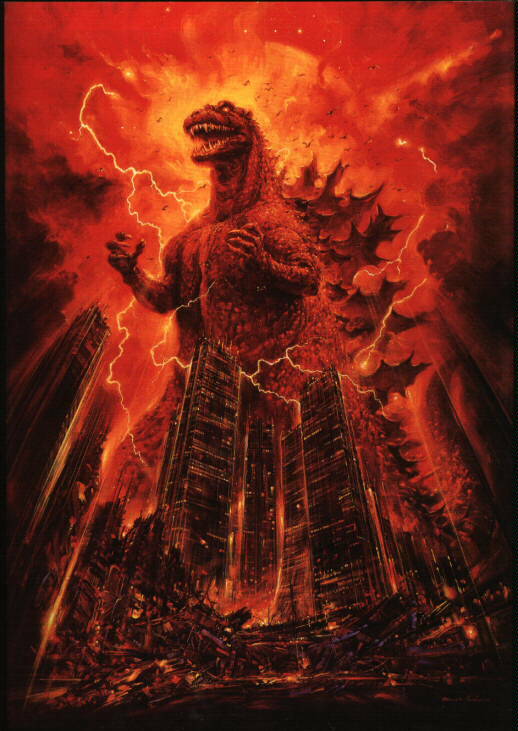 the American Godzilla), Toho released a new series of Godzilla movies, beginning with Godzilla 2000. This cartoon is by Charlie Parker A note about a couple of the sections on my page, the Monster Gallery and the Guide to Kaiju Biology. These pages were originally on Mark Meloon's Godzilla Page, the original Godzilla source on the web. Unfortunately, as of January 31, 1997 Mark's page went off the net. I asked, and received, Mark's permission to add these sections to my page. This is a great addition to my page, IMHO, as well as making sure that Mark's hard work is not wasted. Mark Meloon's Monster Gallery is full of statistics, record of appearances and sounds and pictures from the Godzilla movies. The amount of information included has to be seen to be believed! Mark's Guide to Kaiju Biology includes cutaway pictures showing the inner workings of Godzilla and some of his greatest enemies. You can get to the various areas of Alan's Kaiju Room using the menu at the top of most pages or from the following list. since moving to this site in February 2005. Godzilla is ©1996 Toho Co. This page has no connection with Toho Co. This page was tested using Netscape Navigator 3.0.